Charles Manson died on Sunday at age 83. Charles Manson, the notorious cult leader whose followers committed murder and mayhem, died Sunday at the age of 83 according to the California Department of Corrections. Manson had been taken to a hospital in Bakersfield last week where he was said to be in grave condition. Manson first shocked the world back in 1969 when members of his California cult murdered actress Sharon Tate and four others on his orders. The Manson Family, as they came to be known, were a group of runaways, degenerates and enthusiastic followers who fell under Manson’s charismatic spell. Manson would regularly invite members of his “family” to live with him and teach them about philosophy and the teachings of the Process Church, whose members believed in the impending reunion of Satan and Jesus Christ. 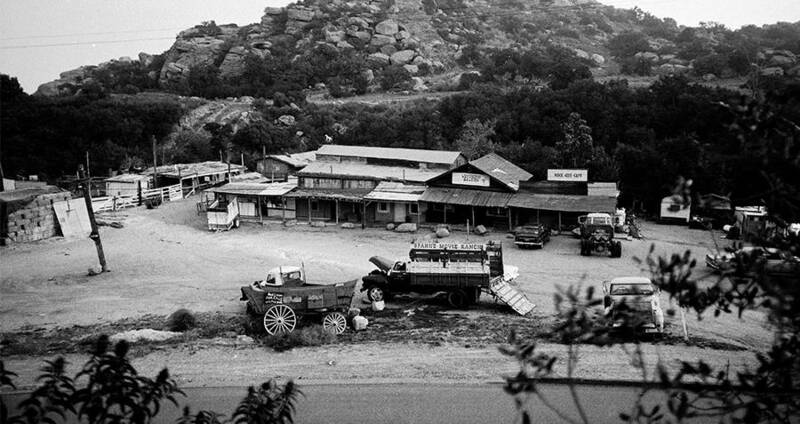 Getty Images The ranch where the Manson Family lived in the years prior to their arrest. Throughout his teachings, Manson implied that he himself was a reincarnation of Jesus and that it was his duty to warn the public, through his Family, about the impending apocalypse. Manson believed that the world was spiraling into chaos and that there would soon be a social uprising. He believed that the song “Helter Skelter” by the Beatles was written to serve as a warning. 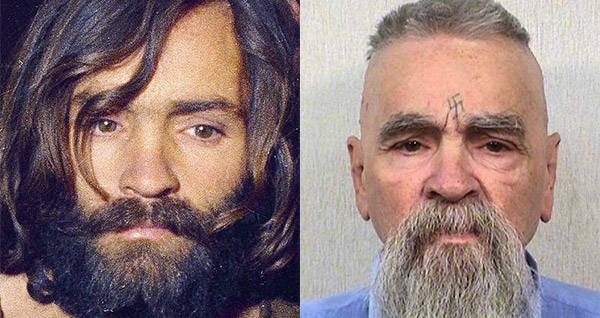 Many experts have theorized that the brutal murders were inspired by what they called the “Helter Skelter scenario,” Manson’s desire to prevent the apocalypse. However, since Manson himself simply ordered the killings, but did not take part in them, other theories have also surfaced. On August 9, 1969, Charles Manson directed four members of the Manson Family — Tex Watson, Susan Atkins, Linda Kasabian and Patricia Krenwinkel — to go to the former home of his acquaintance Terry Melcher and kill everyone inside. He instructed the three women to do whatever Watson told them. The four Family members broke into the home and proceeded to do as Manson ordered, killing five people. Actress Sharon Tate, wife of director Roman Polanski, three friends who were visiting her at the time, and the home’s caretaker were all stabbed multiple times, the total number of stab wounds reaching almost 100. Making matters more tragic, Tate was eight months pregnant when she was killed and reportedly spent her last moments begging for the life of her unborn child. The Family members returned home and panicked about the horror they had just caused. Manson, however, was undeterred by the Family’s panic, and the next day ordered two more murders. This time, however, he attended them himself, in order to show the Family members how to do it right. The day after the Tate murders, Manson and his Family members broke into the home of Leno and Rosemary LaBianca and murdered them the same way they had murdered the previous day’s victims. Almost overnight the murders sparked international panic and outrage, especially over Tate’s pregnancy and the short time span between them. After a relatively short investigation, Manson and his Family were arrested just four months later. Manson and several Family members were sentenced to death, though their sentences were commuted to life in prison when California outlawed the death penalty. Charles Manson applied for and was denied parole 12 time. If Manson had lived, his next parole hearing would have been in 2027. Next, read about the woman who spent time in a Manson-like cult family. 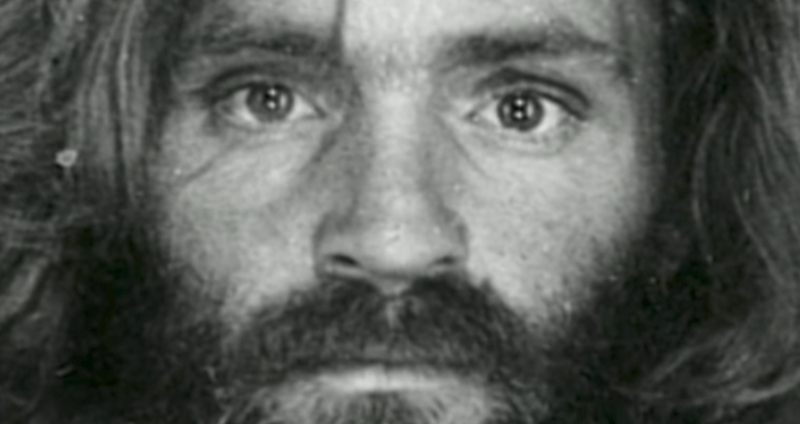 Then, check out these Charles Manson facts.